Mr. McKay has over 40 years of litigation experience and has tried numerous judge and jury trials in both state and federal courts. He is a past President of the Louisiana State Bar Association and the Baton Rouge Bar Association. 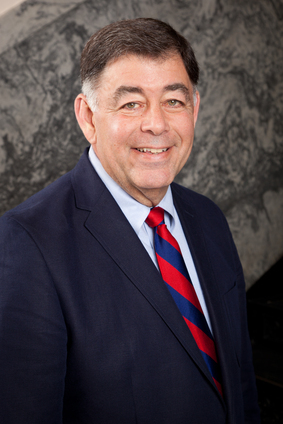 He is the only lawyer to have served on the governing boards of the Louisiana Trial Lawyers Association, the Louisiana Association of Defense Counsel and the Louisiana State Bar Association. Mr. McKay joined Stone Pigman in 2007. Mr. McKay has represented plaintiffs and defendants in a wide variety of matters ranging from intellectual property to community property; wills and trusts to antitrust; RICO to ERISA; class actions to derivative actions; product liability to professional liability; and more. In addition to his trial work, Mr. McKay has been mediating casualty and commercial disputes for over 20 years and has been associated with the mediation/arbitration firms of ADR Inc., and then MAPS, Inc. prior to joining The Patterson Resolution Group. He is also on the American Arbitration Association's Roster of Arbitrators. Successfully represented a national computer network services company in a suit for breach of a $200+ million public contract governed by the Federal Acquisition Regulations filed by the State of Louisiana with the ultimate result of a dismissal of the state's $17 million counterclaim, an agreement on a termination for convenience finding and a $25+ million arbitration award in favor of the client. In state court, successfully represented the managing partners and 50% owners of a $100+ million retail, commercial and residential development in a suit brought by the other partner for dissolution of the partnership and for damages alleged to have resulted from mismanagement. Represents a large regional multi-dealership automotive group on all general and corporate matters including, but not limited to, contractual disputes, human relations problems, regulatory issues, casualty and warranty claims, insurance coverages, real estate transactions and antitrust claim. In federal court, represented multiple clients in multiple class action suits involving unsolicited facsimiles and emails under the Telephone Consumer Protection Act of 1991. In federal trial and appellate courts, successfully defended a multiple-line automobile dealership in an antitrust and unfair competition suit involving regional sales of automotive parts. Successfully defended a client from a subcontractor claim arising out of a public contract from the City-Parish of East Baton Rouge for disaster relief and cleanup. Successfully defended the manufacturer of steam boilers for sugar mills in multiple cases with total exposure exceeding $10 million. Successfully argued to the Louisiana Supreme Court as amicus attorney in an issue involving state regulatory interpretation and collection of accounts due for medications provided under the Louisiana Workers' Compensation Act. Successfully represented a client on the issue of whether the client (insured) or the insurer was entitled to the salvage when the "covered loss" was millions of dollars in excess of the policy limits plus the salvage value. Mr. McKay is a Past President of both the Baton Rouge and the Louisiana State Bar Associations. He is an active member of the American Bar Association House of Delegates, the Louisiana Association Defense Counsel, the American Board of Trial Advocates, the National Conference of Bar Presidents and the American Inns of Court. He is currently enrolled in the Straus Institute for Dispute Resolution at Pepperdine Law School in Malibu, CA seeking an LLM degree in Dispute Resolution. Among his civic and charitable endeavors, he has served as President of the Shaw Center for the Arts, the Boys and Girls Clubs of Baton Rouge, the City Club of Baton Rouge and the Edgewater Kiwanis Club of Baton Rouge. Mr. McKay was awarded the Alumnae Public Service Award from the LSU Law Center Public Interest Law Society in February, 2016. He has been named to The Best Lawyers in America for his work in the field of commercial litigation and has been recognized by Louisiana Super Lawyers. "Conflict Consulting and Coaching," Louisiana State Bar Association Quebec Seminar, March 2019. "Navigating the Swamp: A Review of Issues Encountered in Client Network Services, Inc. v. State, a Civil Contract Termination Case, Due to a Concurrent Criminal Prosecution and Indictment," Louisiana State Bar Association Disney Seminar, March 2019. "Depose the Lawyers? How About the Commissioner? Why Not the Governor? Unique Discovery Issues from Client Network Services, Inc. v. State, et al," Baton Rouge Bar Association CLE by the Hour, December 2018. "The Art of Negotiation," Louisiana State Bar Association Las Vegas seminar, September 2016. "ADR: Stuff You Need to Know to Make You a Better Advocate in Negotiation, Mediation and Arbitration," Louisiana State Bar Association Sonoma Wine Country seminar, February 2016. "The Rules of Law and Our Role as Guardian: Judicial Independence" Louisiana State Bar Association Uncorked CLE Adventure in California Wine Country, March 2014. "Bill's Firm: A Story and, Perhaps, a Template," paper for course on "Selected Issues in Dispute Resolution: Conflict Consulting and Coaching" January 2019. "Vioxx Litigation: Cave In, Windfall or Another Day at the Boudin Factory," final paper for a course on "Selected Issue in Dispute Resolution: Mass Tort Settlements" in pursuit of a Master of Law degree at the Straus Institute for Dispute Resolution at Pepperdine Law School in Malibu, California, November 2016. Stone Pigman Walther Wittmann L.L.C. Merges with McKay, Lutgring & Cochran L.L.C.